Anemometers are vital components of utility-scale wind turbines. These wind sensors measure wind speed and direction at the site of a given turbine, which determines the performance of the turbine’s output. A standard wind turbine power curve shows power output (kW) at a range of wind speeds (m/s). Turbines operate in a relatively narrow range of wind speeds, cutting in at around 3 m/s and cutting out at around 25 m/s. 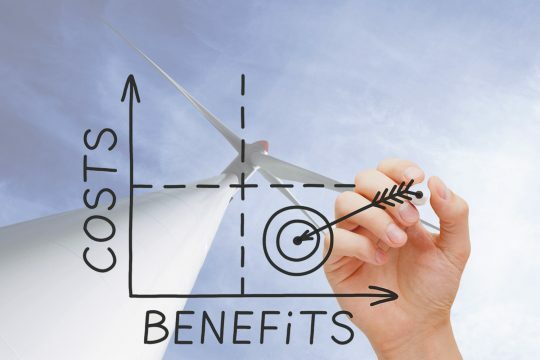 The turbine blades will not efficiently turn below the cut-in speed, and wind speeds above the cut-out speed may cause damage to the turbine blades or other components. The anemometer is the sensor that measures wind speed, points the blades into the wind to optimize power output, and signals the turbine to operate or feather its blades. Mechanical sensors used to measure wind speed can be described as having three hemispheric cups attached to arms on a vertical axis turn in the wind at a speed proportional to wind speed. Wind direction is measured by another type of mechanical sensor a vane anemometer that combines a small horizontally oriented propeller and tail to turn the axis perpendicular to the wind direction and the propeller blades transmit wind direction to the turbine. These two types comprise of moving parts such as ball bearings that are subject to damage at high wind speeds, icing incidents, and typical mechanical ageing due to wear and tear found operating under various weather conditions. When is a replacement worthwile? You will find the answer in the free to download Cost Benefit Analysis! We captured the 5 year cost of different mechanical wind sensors and compared it with the cost of ultrasonic anemometers for wind turbine control! 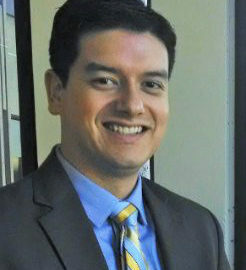 My name is Abraham Aguilar and I am responsible for the Business Development efforts for our Wind, Weather, and Industrial sales in North America, to include Mobile and Road Weather sensors for Latin America and South America. As part of our business eforts, I support in the management of sales, training, and customer support for our sensor offering.